For fiscal purposes, all cash movements must be registered in an accounting book, in order to check that your cash flows are accurate. Businesses dealing with lots of cash payments must check their cash in till each day. Any difference must be explained. You can check your cash in till whenever you want in your Hiboutik account. Your cash balance must be positive, otherwise you accountability can be questioned by your fiscal authority. 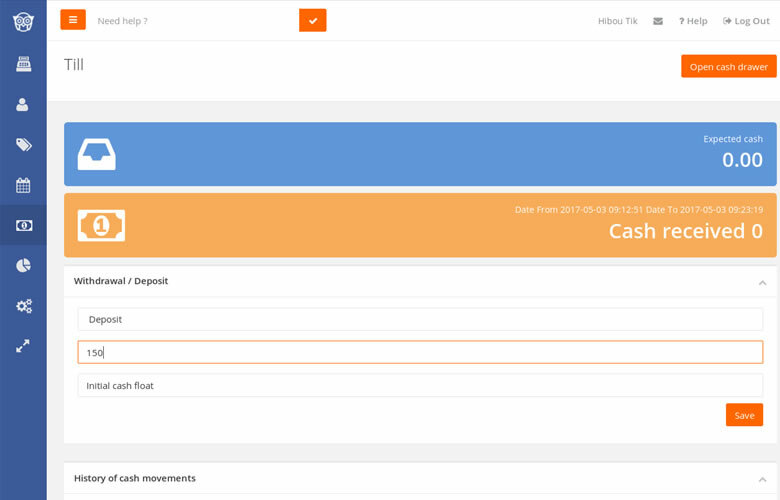 You can enable/disable the cash management features in Settings/Users/Access management. If you accept payments in cash, you may need a petty cash to make change on money tendered by your customers. To start, you must add an opening cash float in your till. Then you can remove cash from your till for store expenses or bank drops (cash out), or add additional money in you till (cash in). You can complete these cash movements in the first part of the Till tab. At the end of the day or after a period of time, you can tally you petty cash to check your cash in till, in the second part of the Till tab. Fulfill the chart with all money counted in your till, then Calculate. 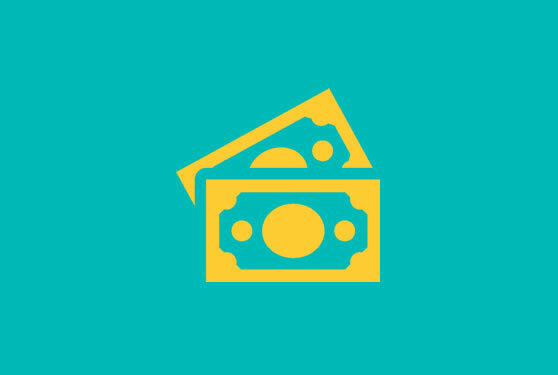 Hiboutik will automatically check your counted cash against the expected cash in your cash drawer. Submit your counted cash. Discrepancies will be registered. When you open your store, add an opening cash float of 150 and submit. During the day, you register some sales paid in cash. At the end of the day, go in the Till tab, tally all bills and coins in the till, and submit the counted amount. Cash counted is the same as the cash expected in the till. We can then remove cash for a bank drop to avoid keeping too much money in the till. Cash movements are resumed in the last part of the Till tab. The closing petty cash is displayed at the top of the Till tab. It is the amount of money remaining in your till and it will be the opening cash float for the next business day. If you find some differences, we advise you to add a note to provide further detail about these discrepancies. 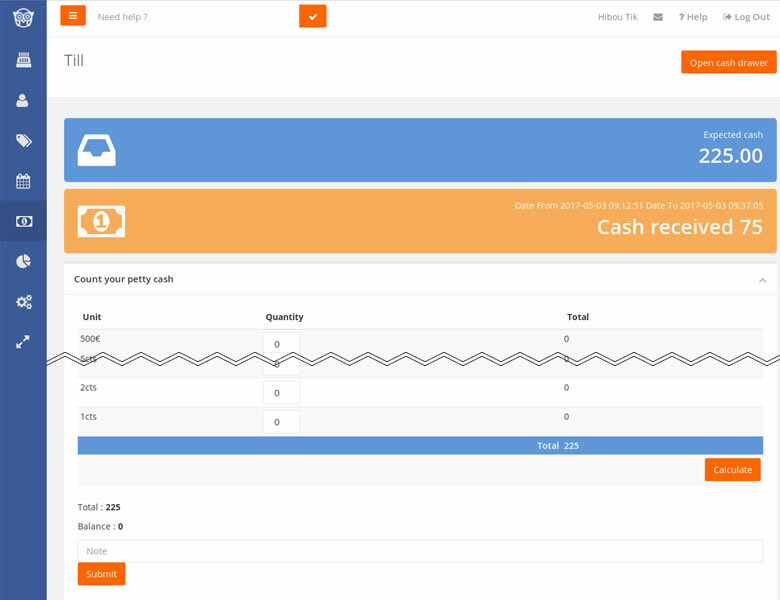 Cash management is very easy in Hiboutik free POS software.